For the first time, the Anglo Dutch firm, which is facing calls by activist shareholders to take stronger action on global warming, has mapped out how the world could hit the Paris climate deal’s target of keeping temperature rises below 2C. While development of hydrogen cars has stalled in the face of rapid growth in battery-electric vehicles, Shell believes the gas could account for 10% of global energy consumption by the end of the century. The company’s Sky scenario, published on Monday, envisages that as fossil fuel use declines, old oil and gas facilities will be repurposed for hydrogen storage and transport. Shell has no large scale hydrogen production but is a major player in natural gas, from which hydrogen can be made. 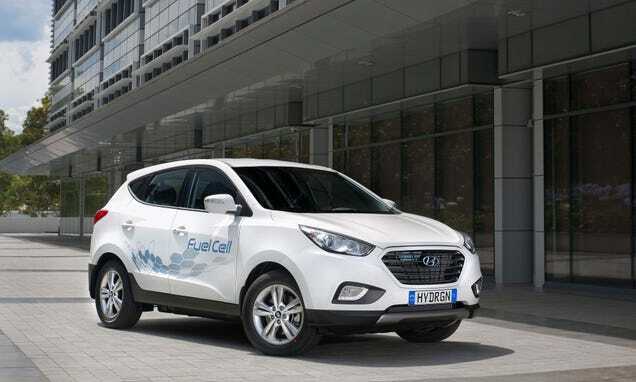 The company launched its first hydrogen refuelling station in the UK last year and on Tuesday will open a second at a service station in Buckinghamshire. The scenario envisages the first intercontinental flight in 2040. By 2070, the majority of trucks will be powered by hydrogen or batteries, as Tesla is planning. Shell sees oil demand stagnating in the 2020s, followed by gas demand falling rapidly from 2040 as competition from renewables bites. Many power grids will be forced by legislation to become entirely run off solar, wind and hydro power by 2040. But the biggest impact from governments will come from carbon taxes or prices put in place by 2030 across rich countries and China. Industry watchers noted that the Sky scenario would still see temperatures rise to around 1.7-1.8C, above the Paris accord’s goal of pursuing efforts to limit rises to 1.5C, in addition to “well below” 2C.